Google's New Search Algorithm Stokes Fears Of 'Mobilegeddon' : All Tech Considered This week, Google started prioritizing mobile-friendly websites in Google searches made on a smartphone. The change could hurt businesses whose sites don't pass Google's mobile-ready test. The Google logo is seen at the Google headquarters in Brussels. This week, Google is changing the way its influential search engine recommends websites on smartphones and tablets in a shift that's expected to sway where millions of people shop, eat and find information. Google has a lot of algorithms. And the company updates them on a regular basis. But one update that started rolling out Tuesday has tech writers across the Internet warning of a coming "Mobilegeddon." The change is only taking place on Google searches made on smartphones. The results will favor websites deemed "mobile friendly," giving them higher rankings than sites that are only optimized for desktops and laptops. Google spokeswoman Krisztina Radosavljevic-Szilagyi elaborated on the changes in a statement e-mailed to NPR. "As people increasingly search on their mobile devices," she said, "we want to make sure they can find content that's not only relevant and timely, but also easy to read and interact with on smaller mobile screens." Google said it has offered tools to help make pages Web-friendly. There's even a Google website that allows you to test any site's mobile-readiness. Favoring mobile websites on searches made on mobile devices seems like a no-brainer, and in 2015 you'd think most sites have mobile friendly webpages. But a study done by online Internet marketing firm Portent found that a majority of the Web's top sites actually aren't mobile friendly. Portent tested 25,000 Web pages that were ranked as "top sites" by ranking and analytic websites Majestic Million and Alexa. The study found that 10,000 sites failed Google's mobile-readiness test, including heavy hitters like the Department of Homeland Security and Drugstore.com. Ian Lurie, CEO of Portent, said some bigger websites may not be mobile ready because those organizations may have a mobile app, and don't think they have to worry about the Web. Others might not think mobile users are a big enough portion of their overall Web traffic. And Lurie said, some of it is just organizational inertia. Lurie did say that for some businesses, there might also be a financial reason. "It's an investment," he told NPR. "Even if you're building a brand new website, it's more expensive to build a website that's ready and renders well on a mobile device than to build a site that just looks good on the desktop. ... It'll be 25 percent or so higher than building a site that is only desktop ready." Google did tell NPR that as soon as Web pages are made mobile friendly, they'll start to show up better in mobile searches. And, Google said mobile friendliness is just one part of an algorithm that takes a lot of factors into consideration. "While the mobile-friendly change is important, we still use a variety of signals to rank search results," Radosavljevic-Szilagyi said. "The intent of the search query is still a very strong signal — so if a page with high quality content is not mobile-friendly, it could still rank high if it has great content for the query. The ranking update will not make it rank below lower quality pages that are mobile friendly." Lurie says Google's definition of mobile-readiness and the changes to its algorithm seem reasonable. But he's still worried. 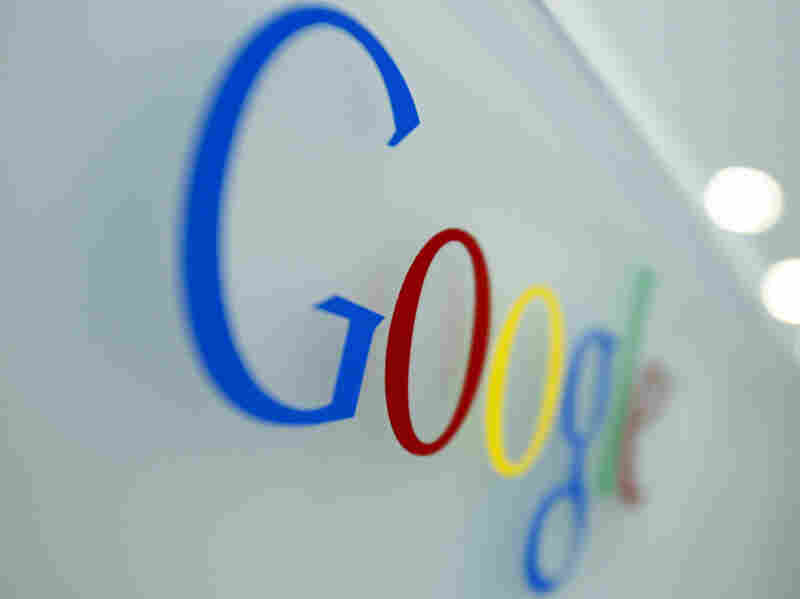 "Google is very scary at this point as a controller of Web content," Lurie said. "It is a little scary to see them do this, because they're using their opinion of what a mobile ready website is, and that can mean a lot of different things. Right now, their definition of a mobile ready website seems to just plain make sense. It's a site that changes shape and size and remains readable on a smaller format device. But they could change that." Lurie's not the only one questioning Google's search dominance. The European Union has been investigating whether Google is favoring its own products in online searches and has charged the company with antitrust violations. The EU also recently suggested breaking up Google as a remedy, though that seems unlikely.